Summary from Goodreads: Meet Pat. Pat has a theory: his life is a movie produced by God. And his God-given mission is to become physically fit and emotionally literate, whereupon God will ensure a happy ending for him—the return of his estranged wife, Nikki. (It might not come as a surprise to learn that Pat has spent time in a mental health facility.) The problem is, Pat's now home, and everything feels off. No one will talk to him about Nikki; his beloved Philadelphia Eagles keep losing; he's being pursued by the deeply odd Tiffany; his new therapist seems to recommend adultery as a form of therapy. Plus, he's being hunted by Kenny G! In this enchanting novel, Matthew Quick takes us inside Pat's mind, showing us the world from his distorted yet endearing perspective. 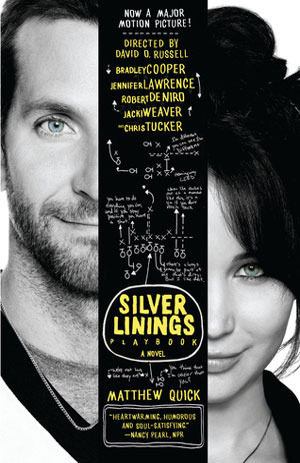 As the award-winning novelist Justin Cronin put it: "Tender, soulful, hilarious, and true, The Silver Linings Playbook is a wonderful debut." 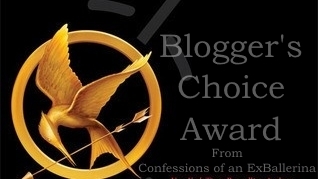 Review: I seriously thought this book was about hokey, boy was I wrong. This book was a really nice surprise. Yes, it had football elements, but it was more about mental illness and how different people cope with loss and stress. I really enjoyed it, which is strange because I don't normally like the contemporary genre. Lately though, books like this have been changing my mind. If you know of another book like this, let me know. I'm always looking for something new and read worthy.